No single position is like every position and no individual candidate is like any other candidate. Therefore, it becomes important to understand that the evaluation of an employee is just as important as knowing what type of positions you have to fill. 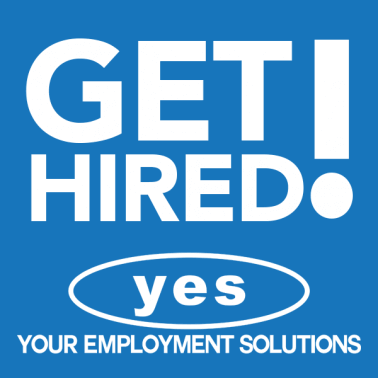 The staffing industry does not exist without good workers that are willing to do a job and do a job well. The trick that is given to each staffing agency is finding that match between qualified candidate and quality position for each individual and company. This is my guide to find out one side of that equation. What do I look for in a candidate when looking to make a hire? First impression is always the first thing that all humans observe. We believe that we learn all we need to know about a person within the first 7 seconds of meeting them. Therefore, it is important to put on a good attire and present yourself in the manner you want to be view. Also is this appearance match the type of position/pay you are looking for. As recruiters we feel you must manifest in your presentation where you would like to end up. After presentation we continue on an observation and self-awareness standpoint. How an individual communicates is vital to matching them to the job that will be ideal for their situation and the client’s specific needs. It then becomes necessary for the candidate to be able to sell his/her skills to me. Each individual must be as sold on themselves as an employee as they would want an employer to feel. Don’t mistake confidence and a surety in one’s abilities for cockiness or a boastful attitude. This can also be interpreted as a go-getter attitude. Employers will always be more excited about a candidate that is interested, involved, and shows a dedicated personality. Staffers and Employers always notice the little things; Does this person drag their feet? Do they pay attention? Do they make eye contact? Do they ask questions? These are things can force an employer to choose one candidate over another. Finally, there is one quality that I look at almost more than any other quality when making a staffing hire, dependability. Dependability is the quality of being able to be counted on or relied upon. This is when you do things that you say you are going to do and you keep promises. When I look at a resume that shows an individual jumping from job to job within a short amount of time without clear explanation, I immediately assume that there is a reason for that, and they can’t be depended on to stay at a job for any length of time. When a person has a history of being late or absent, that will be how I view them in the future. But if someone is dependable above all else, I will feel much more inclined to make sure that they are matched with a good company. Each employee is an extension of our company and therefore is a representation of Your Employment Solution’s product and employees. 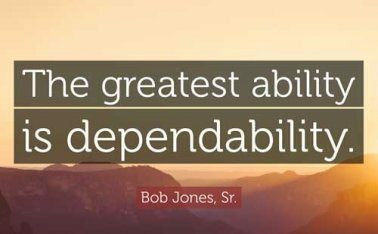 Skills can be learned and developed, but dependability is an intangible that people either have or don’t have. I consider that to be the #1 most important quality for every possible new hire to have and display.